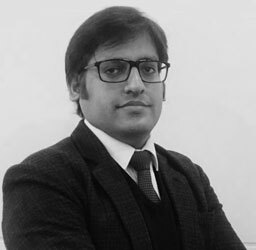 Pratik Arora is associated with Nangia Advisors LLP as Manager in Assurance division. He is a fellow Chartered Accountant and holds Bachelor Degree in commerce from Deen Dayal Upadhyaya University Gorakhpur. He also Holds Certification in Service Tax & Goods and Service Tax (“GST”). He is an astute professional with cross-functional expertise in the entire gamut of audit operations including Statutory Tax Audit, Internal Audit & System Audit. He also possess exposure in Direct Taxation. He has considerable experience in Audit of companies in the manufacturing, construction and service sectors. His client base ranges from joint ventures, subsidiaries of foreign companies and domestic private companies. He has helped Various Clients in Tax planning (domestic as well international taxation) by applying the relevant clauses of Direct Tax Avoidance Agreement (DTAA).He ensures timely and accurate filing of all corporate and personnel income tax. Also, possess broad knowledge of foreign exchange remittance & interpretation of Deferred Tax Treaties along with Knowledge of income tax software like Spectrum, Web Tax & RPU. Over his professional practice of more than 6 years with Nangia Advisors LLP, he has successfully advised clients on various complex financial accounting issues related to matters such as, WHT compliances, Revenue recognition & Cost Control, etc.